I bought the Dropcloth color wheel sampler months ago and decided to finally start it last week. I am terrible about buying things and leaving them to sit untouched and I really want to remedy that. I have a lot of other things I’ve purchased and then haven’t used (sashiko samplers, LED stitching kit, specialty threads and fabrics) and I am making it a point to use them. It’s so easy to get caught up on making sure you save them for the perfect project so they don’t go to waste. But in reality, by leaving them sitting around, they are already going to waste. I really love how this turned out, I found this sampler extremely relaxing and a great learning experience. I love the simplicity and repetition of cross stitch, the same movement over and over, tiny little Xs filling the fabric. 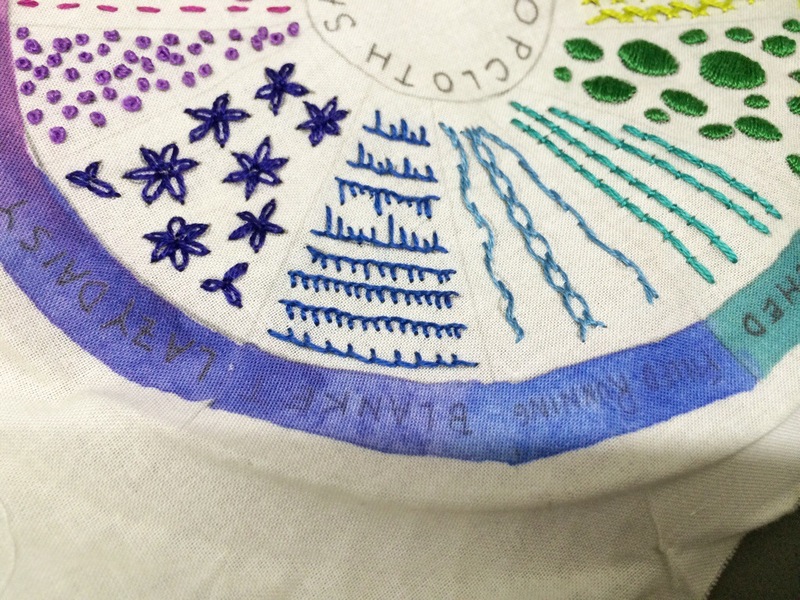 But the beauty of embroidery are all the different stitches and I really got a chance to explore them with this color wheel. There is a sampler of the month club which is extremely tempting, all of the samplers are gorgeous. Maybe if I use up a few more of the supplies I’ve been hoarding I’ll reward myself with more Dropcloth samplers. 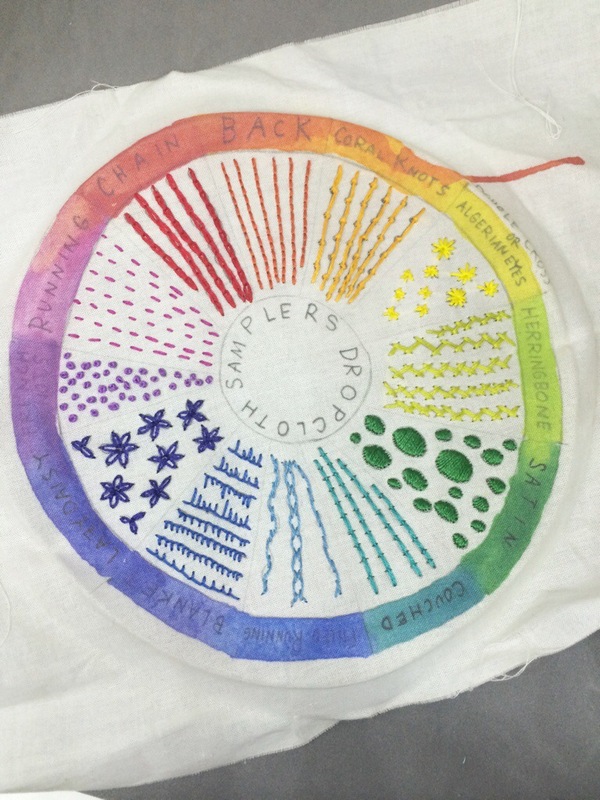 You can buy your own color wheel sampler from Dropcloth on Etsy. 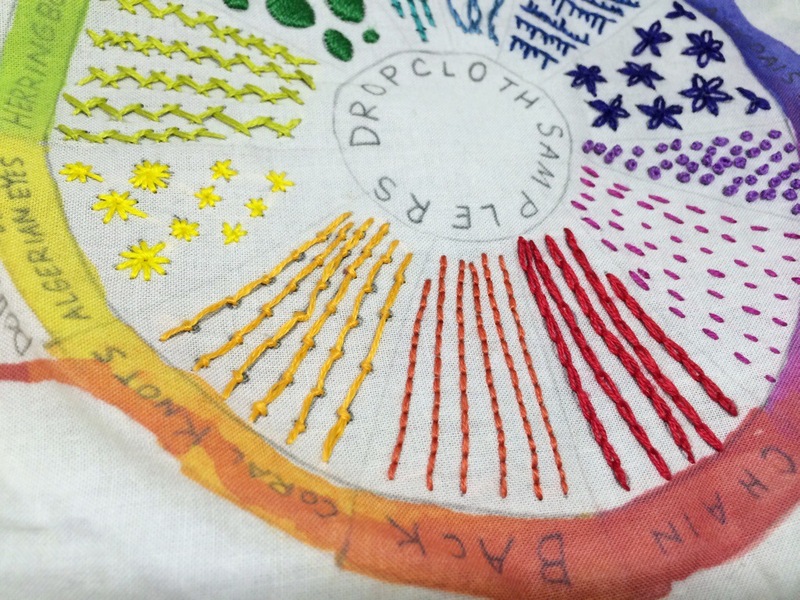 I definitely suggest the Dropcloth samplers if you have any interest in embroidery, especially if you aren’t sure where to start! It was really fun and now I want to buy all the Dropcloth samplers!